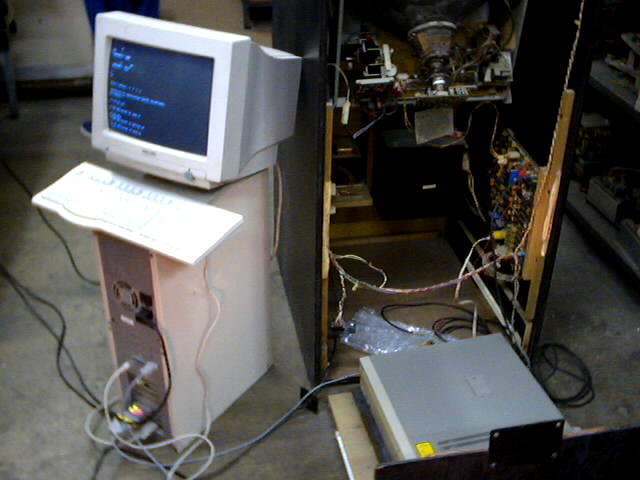 EuroDL uses a PC for converting the serial commands from a Euro Dragon's Lair Cinematronics board to a more modern, fast and reliable laserdisc player. EuroDL was developed because I got tired of fixing the old Philips 22VP932/00, a PAL laserdisc player used in European Dragon's Lair and Space Ace machines. 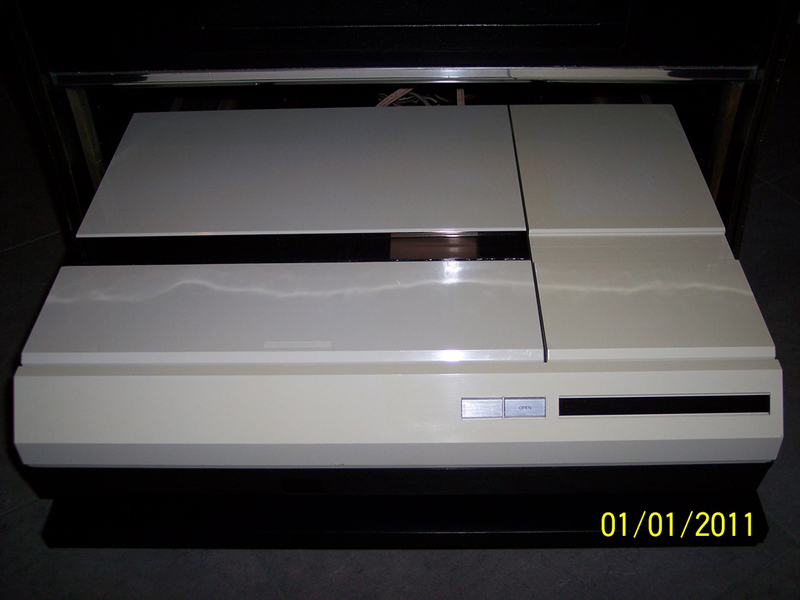 This infamous player was originally designed as a home laserdisc player, but was modified for use in arcade machines. 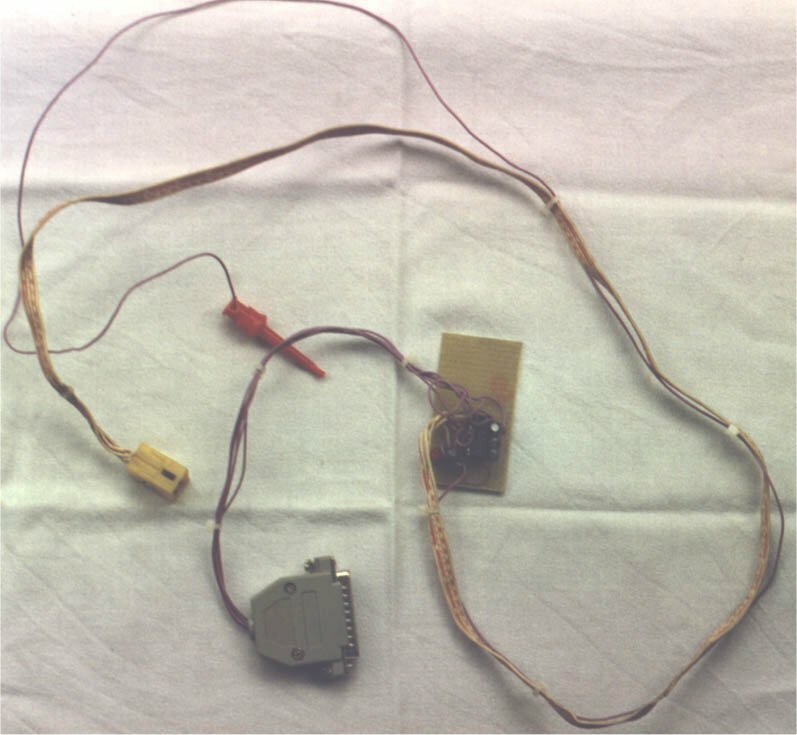 Philips did some minor modifications to the circuitry to increase the speed of the searches (some resistors needed to be added or cut). They also added a TTL serial interface to allow the game to control the laserdisc player (these modifications can be seen in the service manual found on the Dragon's Lair Tech Center page). Yes, believe it or not, they used a TTL level (i.e. 0 - +5 V) serial interface, cheaper than a standard RS-232 serial interface (typically ±12 V). Unfortunately, since the 22VP932 was originally designed for home use, it was extremely unreliable in an arcade environment. EuroDL is a DOS executable and it will work fine only in a DOS operating system. Booting the PC to DOS using a floppy may be the easiest and quick way to go. The program will not work properly in Windows and communication data may be occasionally lost. I have left the program running on test bench for several hours in DOS environment without a problem. In other words, every ROM set on D-L-P (for the euro versions of these games). If you have a different ROM set, please dump it and send it to me so I can verify that it works with this conversion. If you have another industrial PAL model and you can't get it working with my conversion, e-mail me so we can work on it. If you succeed in get it working with a model not listed above, tell me so I can add it to the list. If you are using either of the NTSC Space Ace discs, you will need a NTSC laserdisc player (or a dual standard one) and a NTSC to PAL video converter, since the euro Space ace board only accepts a PAL composite video input. 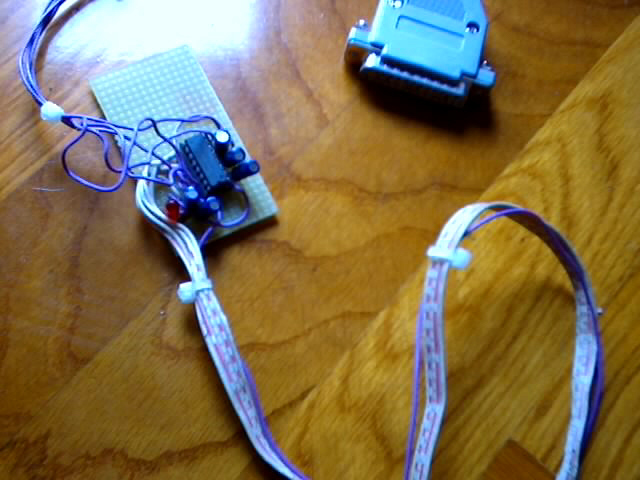 The board itself is already equipped with a PAL/NTSC decoder, but it's configured for PAL operation and it will require some minor hardware modifications to work with a NTSC video input. (I don't recommend modifying the board if you don't know EXACTLY what you're doing and I won't describe how to do it here, either). Using a NTSC to PAL converter is, in most cases, an easy, cheap, and safe (for your board... hehe) solution. In addition, since most (if not all) original Philips Dragon's lair and Space ace laserdiscs have laser rot, you can use the newer (and hopefully rot free) PAL laserdiscs reprinted by Software Corner in 1991. If you're planning to use a Software Corner Space Ace laserdisc, keep in mind that you need a laserdisc player capable of reading digital audio (examples are Philips VP380 and Pioneer LD-V4300D), because Space ace by Software Corner has digital audio only! Game bug fixes: The European Dragon's Lair (both European and Italian versions) have a software bug if you play with attract sound off (dip switch 6 of bank A in OFF position). Only the first attract mode is showed correctly; all next attract sequences play longer than the attract sequence itself, showing a portion of the drawbridge scene and death scenes. Well, EuroDL fixes this bug and now shows the "INSERT COINS" screen for the remaining time while attract mode finishes. A PC motherboard with two serial ports. 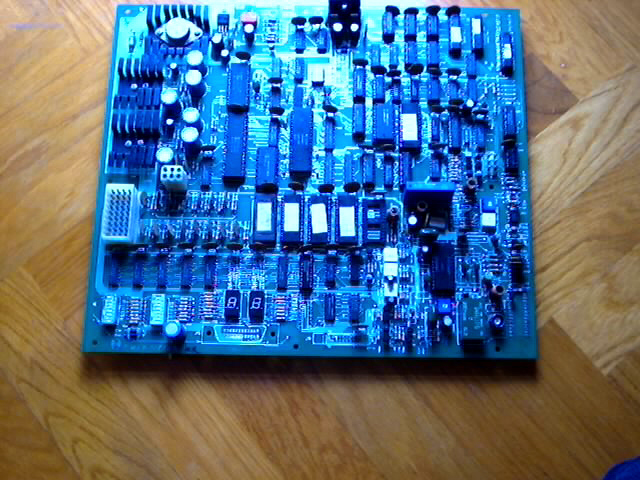 COM1 is for the laserdisc player and COM2 is for the Dragon's Lair PCB. You should check your bios settings to have COM1 at address 0x3F8, IRQ 4 and COM2 at address 0x2F8, IRQ 3, however these are the standard settings of most PCs. You'll need a floppy or a hard drive to boot the software. 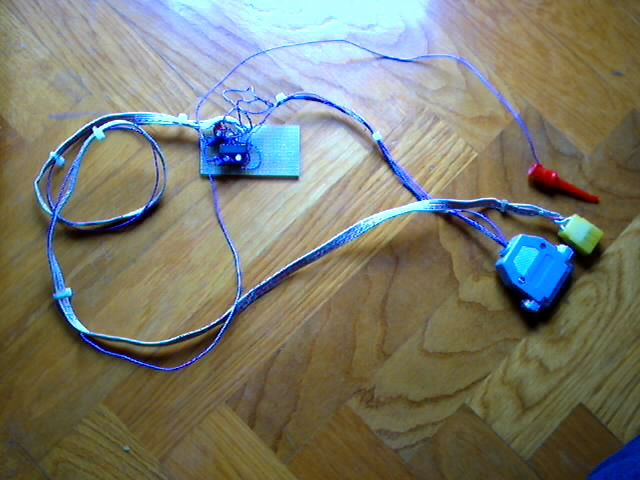 A cable to connect the laserdisc player to the PC (note that different laserdisc players may use different serial cables). EuroDL serial interface: yes, we need an interface to connect the TTL serial port of Dragon's Lair PCB to the RS232 serial port of PCs. Full project outputs and source code is also included in the the download. If you have any questions, you can contact Matteo Marioni. This section will show the steps necessary to make a cable for your laserdisc player. Below are the pinouts for each type of laserdisc player. 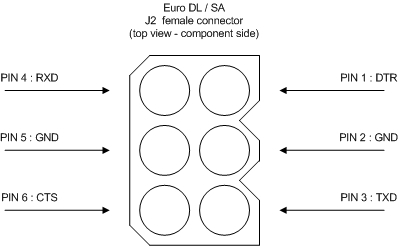 This section will show the steps necessary to build the required EuroDL Serial Interface. 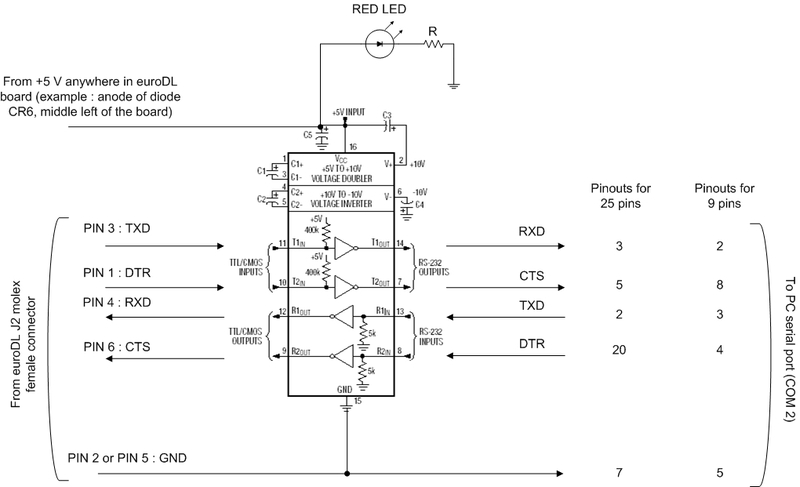 Of course the red led shows if the EuroDL serial interface is getting power or not. If you have problems in building it or if you can't build one, contact me and I'll try to help you. First of all make sure that you have everything built correctly. Double check the EuroDL serial interface and all serial cables as well as checking the continuity of all wires. Insert the disc in the laserdisc player and place it into your EuroDL cab. Connect the audio cables and the video (SCART) cable. 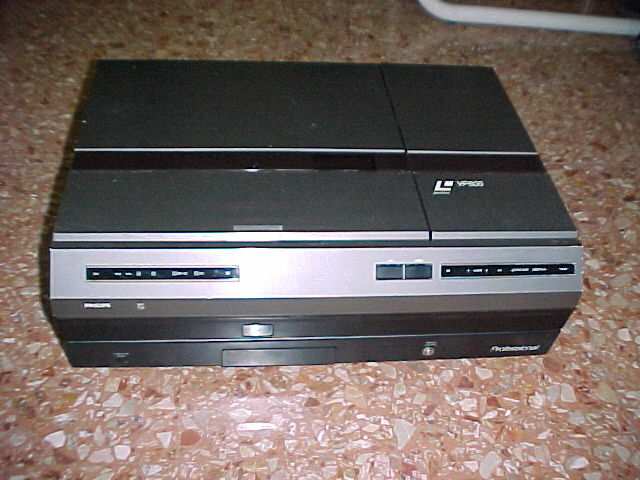 Sony and Philips laserdisc players usually have the SCART connector. If your laserdisc player does not have it, you'll need either a RCA to BNC video cable or a BNC to BNC video cable to connect the video output of your laserdisc player to the BNC video input of the EuroDL PCB. You'll have to find a way to give power to the laserdisc player. The 22VP932 uses a 110 VAC connector located near the main transformer. Make sure to give the proper voltage to your laserdisc player (most models require 220-240 VAC). Place the PC in your cab. You can place it in several different ways, but the best place is probably on the top of the laserdisc player, using a desktop or a minitower case. There should be enough room for it. To give power to the PC, you can use a double cable or a cable splitter if the voltage is the same as the laserdisc player. Place the EuroDL serial interface in your cabinet and make sure you place it in a safe way. NOTE: You can cause damage to your game if your EuroDL serial interface comes in contact with any metal or electronic parts inside the cab. If necessary use a screw or two to fix the EuroDL serial interface to the wood of the cab in a place near the EuroDL board. Connect the EuroDL interface to the serial connector J2 on your EuroDL PCB, then connect the other serial cable of EuroDL PCB to the COM2 port of the PC. Connect the +5 V wire nipper of EuroDL interface anywhere on +5 V on the EuroDL PCB (I suggest the anode of diode CR6, in middle left of the EuroDL board). If you're not sure, before attempting to make this step you can power up the game and use a voltage meter to see if the point you've located is correct. Connect the laserdisc player to the serial port COM1 of the PC by means of the proper cable. 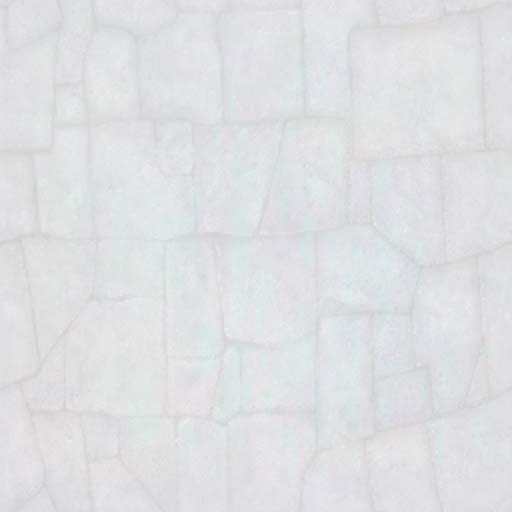 [Debug] - For testing only. Use it only if you have a video card and a monitor connected to your PC. It will show on the PC screen what the program is doing and will also enable and display the frame number on the laserdisc video. [NTSC] - NTSC_1983 or NTSC_1991 - Use this option if you are using a NTSC Space Ace disc. Commands aren't case sensitive. To quit the program once started, just press any key on the keyboard (I suggest not to place a keyboard in your cabinet hehe). You can power up the three parts (cabinet, laserdisc player and PC) at the same time or at different times, it doesn't matter. Only when the EuroDL software is ready, the game will start. If you don't hear all of these sounds, there's something wrong in the system and it won't work. In case of a search error due to a laserdisc player malfunction or a bad laserdisc surface, the software will attempt to research to the requested location up to three times, then it will stop working. Below are a few images to assist you. Do you have a working Philips VP831 or Philips VP835 sitting somewhere in your basement? Wow, you're a lucky guy then! These are old industrial PAL laserdisc players manufactured by Philips from the same era of the good old 22VP932, but these players already have a RS232 serial port. The good news is that you just need a EuroDL serial interface to connect them to your EuroDL cabinet (no PC needed to translate the serial commands). 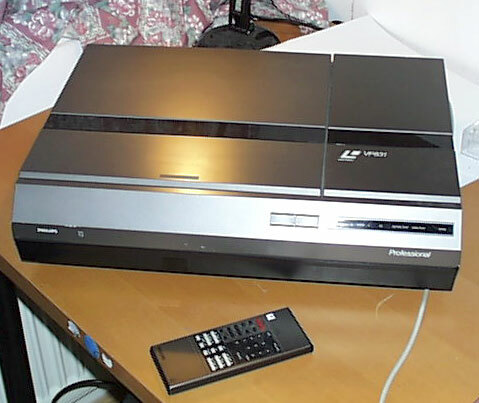 These laserdisc players support the same command set as the good old 22VP932. Igorstellar is currently running his Atari Dragon's Lair using a EuroDL serial interface and a VP835. I would like to thank Igorstellar for loaning me his Philips VP835 for testing and for taking pictures of the EuroDL parts. Also thanks to Jeff Kinder for this beautiful website. I'm Italian, so don't expect my English to be perfect. I made this conversion just for fun and I'm offering it for free to anyone who wants to have his / her European Dragon's Lair (or Space Ace) running again like it never did before. If you are unsure what any of the terms used in this document refer to or do not understand sections of this document, make sure you find out! Do not attempt anything in this document unless you know what you are doing! The information in this document is believed to be correct, and works fine for the author. I can not guarantee that this will work for you and I am not responsible for any damage you may cause to your laserdisc players.